21. 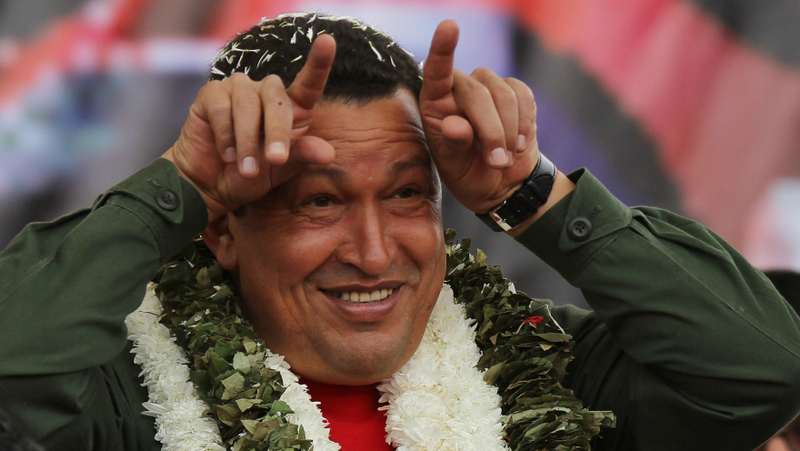 Under President Chavez social expenditures increased by 60.6%. 22. Before 1999, only 387,000 elderly people received a pension. Now the figure is 2.1 million. 23. Since 1999, 700,000 homes have been built in Venezuela. 24. Since 1999, the government provided / returned more than one million hectares of land to Aboriginal people. 25. Land reform enabled tens of thousands of farmers to own their land. In total, Venezuela distributed more than 3 million hectares. 26. In 1999, Venezuela was producing 51% of food consumed. In 2012, production was 71%, while food consumption increased by 81% since 1999. If consumption of 2012 was similar to that of 1999, Venezuela produced 140% of the food it consumed. 27. Since 1999, the average calories consumed by Venezuelans increased by 50% thanks to the Food Mission that created a chain of 22,000 food stores (MERCAL, Houses Food, Red PDVAL), where products are subsidized up to 30%. Meat consumption increased by 75% since 1999. 28. Five million children now receive free meals through the School Feeding Programme. The figure was 250,000 in 1999. 29. The malnutrition rate fell from 21% in 1998 to less than 3% in 2012. 30. According to the FAO, Venezuela is the most advanced country in Latin America and the Caribbean in the erradication of hunger. 31. The nationalization of the oil company PDVSA in 2003 allowed Venezuela to regain its energy sovereignty. 32. The nationalization of the electrical and telecommunications sectors (CANTV and Electricidad de Caracas) allowed the end of private monopolies and guaranteed universal access to these services. 33. Since 1999, more than 50,000 cooperatives have been created in all sectors of the economy. 34. The unemployment rate fell from 15.2% in 1998 to 6.4% in 2012, with the creation of more than 4 million jobs. 35. The minimum wage increased from 100 bolivars ($ 16) in 1998 to 247.52 bolivars ($ 330) in 2012, ie an increase of over 2,000%. This is the highest minimum wage in Latin America. 36. In 1999, 65% of the workforce earned the minimum wage. In 2012 only 21.1% of workers have only this level of pay. 37. Adults at a certain age who have never worked still get an income equivalent to 60% of the minimum wage. 38. Women without income and disabled people receive a pension equivalent to 80% of the minimum wage. 39. Working hours were reduced to 6 hours a day and 36 hours per week, without loss of pay. 40. Public debt fell from 45% of GDP in 1998 to 20% in 2011. Venezuela withdrew from the International Monetary Fund and World Bank, after early repayment of all its debts. 41. In 2012, the growth rate was 5.5% in Venezuela, one of the highest in the world. 42. GDP per capita rose from $ 4,100 in 1999 to $ 10,810 in 2011. 43. According to the annual World Happiness 2012, Venezuela is the second happiest country in Latin America, behind Costa Rica, and the nineteenth worldwide, ahead of Germany and Spain. 44. Venezuela offers more direct support to the American continent than the United States. In 2007, Chávez spent more than 8,800 million dollars in grants, loans and energy aid as against 3,000 million from the Bush administration. 45. For the first time in its history, Venezuela has its own satellites (Bolivar and Miranda) and is now sovereign in the field of space technology. The entire country has internet and telecommunications coverage. 46. The creation of Petrocaribe in 2005 allows 18 countries in Latin America and the Caribbean, or 90 million people, secure energy supply, by oil subsidies of between 40% to 60%. 47. Venezuela also provides assistance to disadvantaged communities in the United States by providing fuel at subsidized rates. 48. The creation of the Bolivarian Alliance for the Peoples of Our America (ALBA) in 2004 between Cuba and Venezuela laid the foundations of an inclusive alliance based on cooperation and reciprocity. It now comprises eight member countries which places the human being in the center of the social project, with the aim of combating poverty and social exclusion. 49. Hugo Chavez was at the heart of the creation in 2011 of the Community of Latin American and Caribbean States (CELAC) which brings together for the first time the 33 nations of the region, emancipated from the tutelage of the United States and Canada. nuestros corazones sufren por ellos. Este era el mundo que conoció mi padre. a los abrumados y desposeídos.